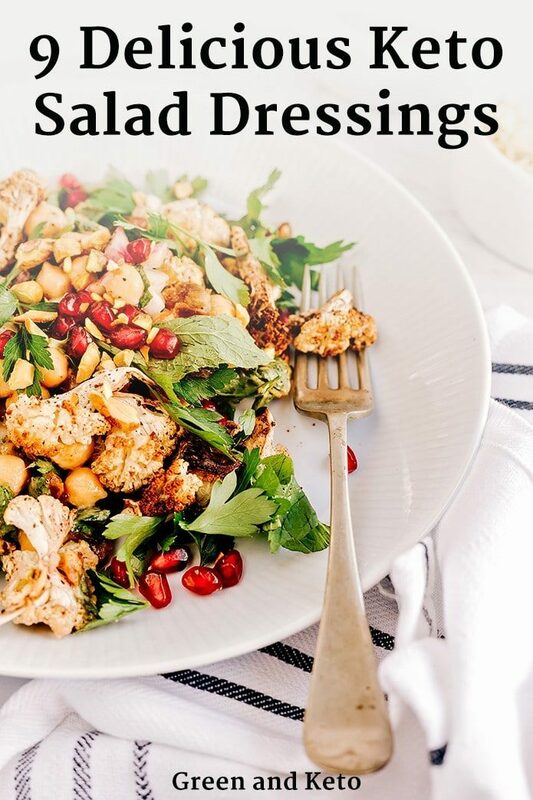 Love salad? 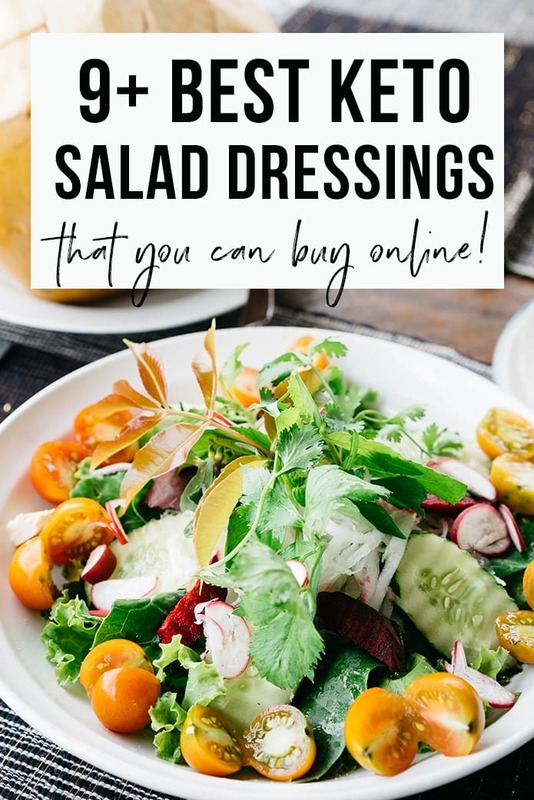 Check out this ultimate guide to the best keto salad dressing you can buy. 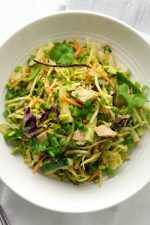 A big green salad full of leafy vegetables is a great lunch or dinner option on the keto diet. 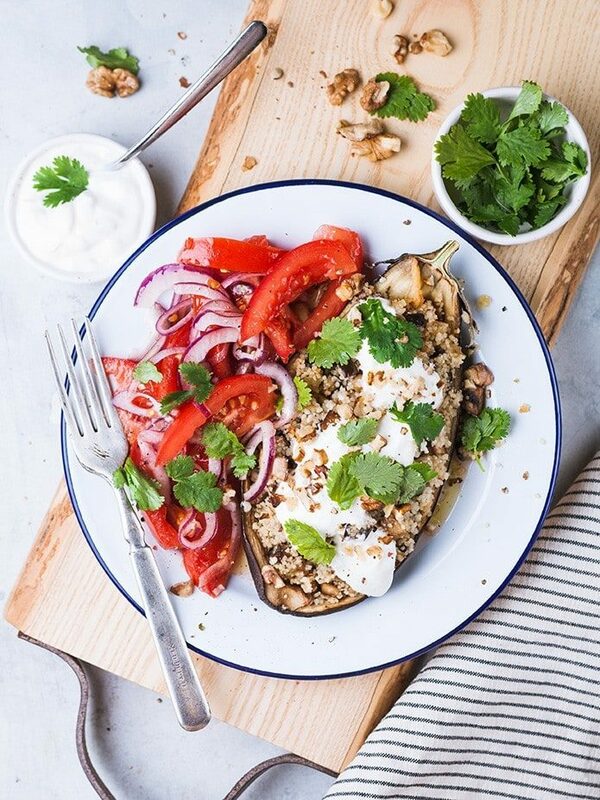 Add some protein with grilled chicken or steak, and some healthy fats with nuts or avocados. But watch out for sneaky sugars and carbs that could be hidden in your store-bought dressing! Yes, it’s true. Most store-bought salad dressings contain carbohydrates and added sugar. But, if you know how to read the nutrition labels, you can find keto-friendly salad dressings to buy online and at the grocery store. Here are several low-carb, sugar-free salad dressing options that you can use to dress your next keto salad. Primal Kitchen makes a classic Greek salad dressing with healthy avocado oil, organic herbs and zesty spices. Of course, it’s delicious on Greek Salads with tomatoes, onions, and feta cheese. But you can also use it to add incredible flavor to grilled meats and veggies. It’s non-GMO, soy and canola oil free, sugar-free, dairy free, gluten free, and grain free. Whew! All that, and less than 1g carb per serving. Delicious Caesar dressing made with clean ingredients is hard to find. So when I found a store-bought, dairy-free, low-carb Caesar dressing from Tessemae’s, I knew I need to share it with you. Just 1 gram of carbs per serving. But you can also find it in single-serving pouches! The single-serve packets would be perfect for meal prep, or for packing a lunch to bring to school or work. Ranch is my all-time favorite salad dressing. And this ranch dressing l is such an upgrade over the other ranch dressings I’ve tried. Most store-bought salad dressings are made with industrial seed and vegetable oils like canola, sunflower, corn and soy oil– but Primal Kitchen brand uses avocado oil in their dressings and vinaigrettes. Primal Kitchen Dairy-Free Ranch is made with organic garlic, onion, dill, cage-free organic eggs, nutritional yeast, black pepper, and chives. And that means no dairy, no buttermilk, gluten, soy, canola or sugar. It has 2g carbs per serving. Blue Cheese dressing has a pungent, salty, and tangy flavor that you either love or hate. But if you are a keto-dieter who happens to low bleu cheese, you’re in luck! Most blue cheese dressings are low-carb and keto-friendly. Ken’s Chunky Blue Cheese dressing is a classic low-carb dressing that you should be able to find at any grocery chain. Here’s another non-dairy option for you. Classic and creamy, this Green Goddess Dressing is made with organic herbs and spices like tarragon, black pepper, garlic cloves, chives, and parsley. It has no soy and no added sugars. And it has less than 1g carb per serving! Sometimes creamy dressings are great, and sometimes you want a light, fresh-tasting viniagrette. If you are looking for a bright citrusy salad dress, try this Lemon Garlic Dressing from Tessemae’s. It’s made with sunflower oil, fresh herbs and spices, organic vinegar. It’s not only a delicious dressing for salads, but it’s also a fantastic marinade for chicken. And the best part? 0g carbs per serving. It’s also available in single-serving packets that are perfect for when you are on the go. You can take them with you to school or the office. Now this is something I can’t find in my local grocery store. FAT & Happy Italian Dressing is a high-fat salad dressing made with MCT Oil as its main ingredient. So, if you are looking for an easy — and tasty — way to add ketone-boosting MCT oils into your diet, try this Italian dressing. Plus, it has 0g carbs per serving. Can’t beat that! A simple, tasty salad dressing that you can feel good about buying. Find it for a good price at your local grocery store. Last but not least, this Keto salad dressing has a classic flavor combination made with the highest quality ingredients — including Balsamic of Modena. You can find this brand in major grocery chains like Kroger, Publix, Whole Foods, Target, Fresh Market. Look in the refrigerated section of the produce department. This balsamic vinaigrette is tasty on salad and would make a great glaze for meats as well. It has 1g carbs per serving. 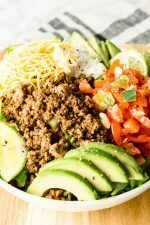 Add this Post to your Keto Board on Pinterest! 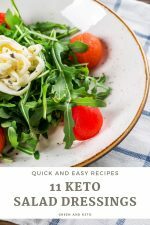 If you are looking for other guides to keto shopping, don’t miss my ultimate list 23+ of the Best Keto Snacks at Walmart. And if you have a sweet tooth, check out 11+ Best Keto Desserts to Buy.